This Website is an online service provided by Freedom United, LLC, a registered North Carolina nonprofit corporation (“Freedom United”). 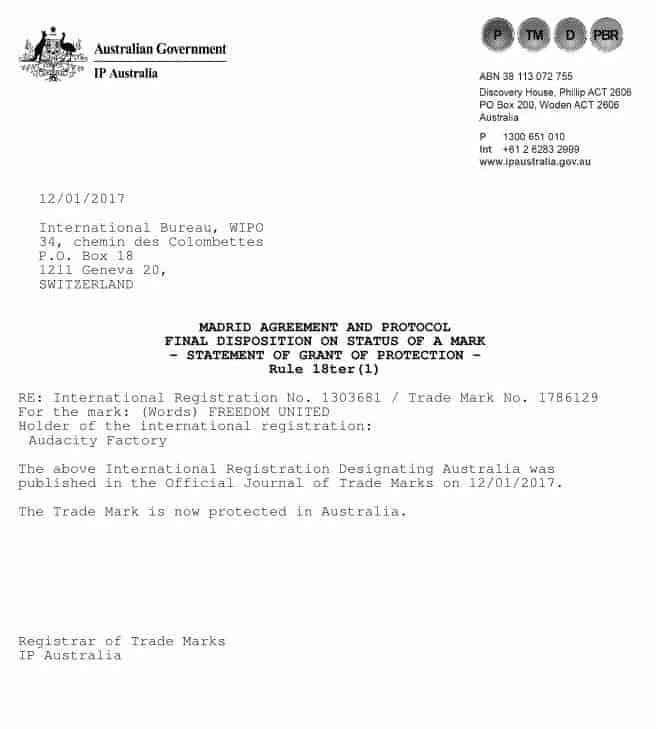 All titles, content, publisher names, trademarks, artwork, and associated imagery are trademarks and/or copyright material of their respective owners. All rights reserved. Copyright © 2018 Freedom United, LLC. All rights reserved. Freedom United, previously registered as “Audacity Factory,” retains copyrights on, or has a license to use, text and graphic images included on the Website. Therefore, you may not (1) distribute any of the contents (text or graphics) of the Website without the express written permission of Freedom United; (2) include the information on your own server or in your own documents without permission from Freedom United; (3) modify or re-use the text or graphics located on the Freedom United Website. You may print copies of the information for your own personal use or store files on your own computer for your personal use only. Freedom United reserves all other rights. 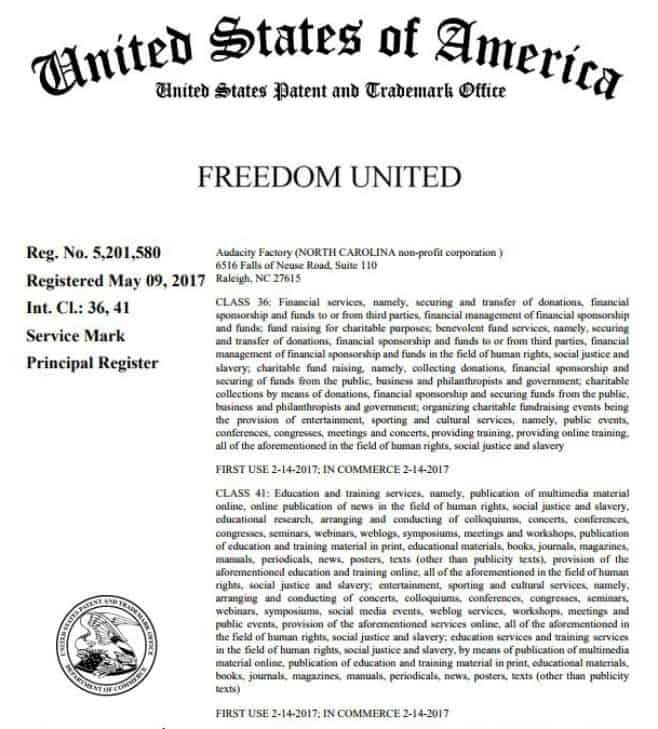 FREEDOM UNITED and the Freedom United Logo are trademarks of Freedom United. 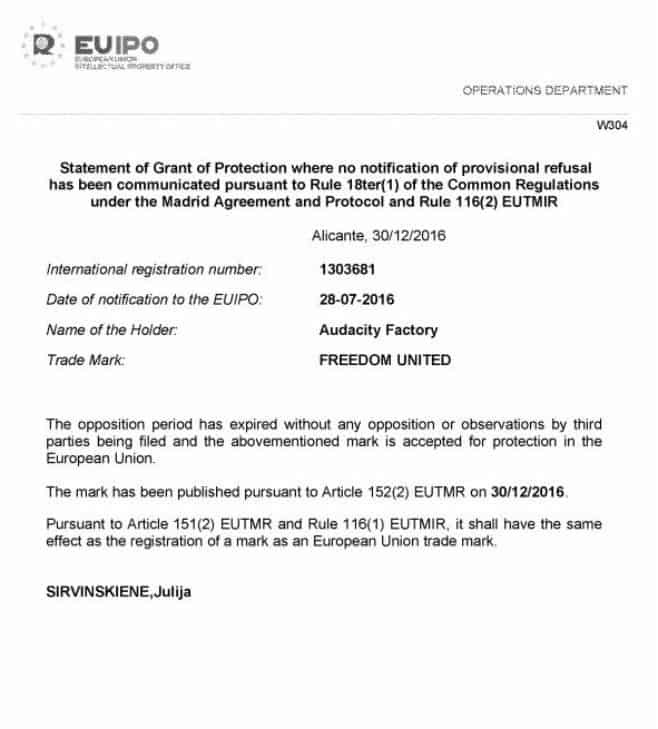 FREEDOM UNITED is a registered trademark in the United States, as well as internationally, with registrations in Europe and Australia. 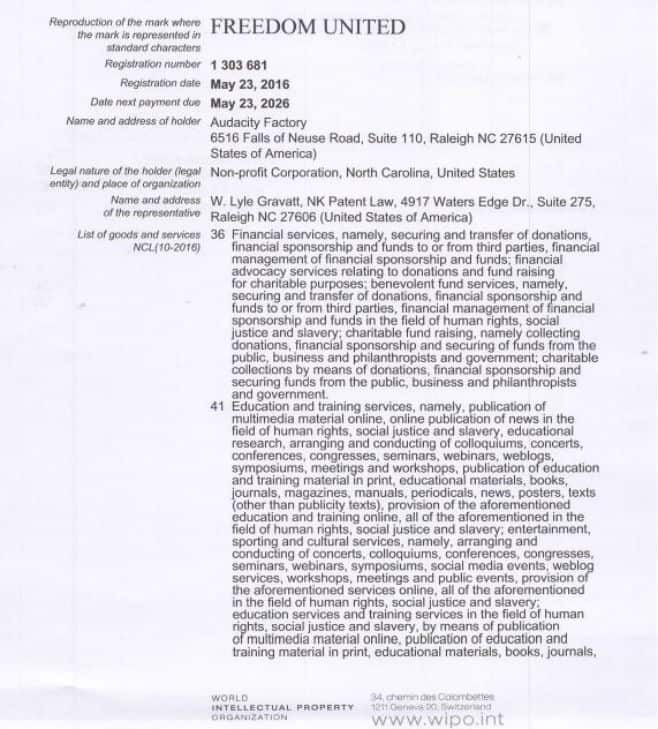 The names and logos of other companies and products mentioned herein may be the trademarks of their respective owners.